It was another exciting day of racing yesterday following uncertainty whether the day would go ahead due to the weather. 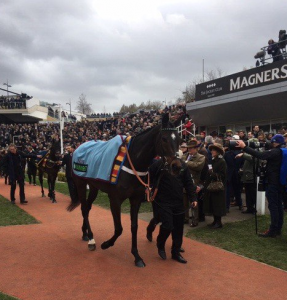 It was Altior who claimed victory in the Queen Mother Chase, the feature race of Day 2 of Cheltenham Festival. The win meant it was his 4th Festival victory, making him unbeaten since 2015. Here’s winning jockey Nico de Boinville reaction following the race. He caught up with Mike Vince.